While traipsing through France in search of gourmet delights and the finest food artisans, we couldn't resist the temptation to prepare a special box packed with exceptional hors d'oeuvres that would allow our customers to sample the best of French cuisine. Pretty on the outside and chock-full of scrumptious products on the inside, this gourmet gift box has everything you need to enjoy a grand apéro, a word that describes the time-honoured French tradition of sharing drinks, hors d'oeuvres and golden moments with family and friends. Salty, spicy, crunchy, creamy... in this food gift box you'll find all the savoury staples of an authentic French hors d'oeuvres party, including an exceptional wine, for a gourmet experience that's guaranteed to please even the most discerning palates. Try it, and if your craving for French flavours isn't completely satisfied, there's always our Deluxe Hors d'Oeuvres Box. PRETTY French FOOD GIFT BOX FOR GOURMET AND HAPPY HORS D'OEUVRES MOMENTS! 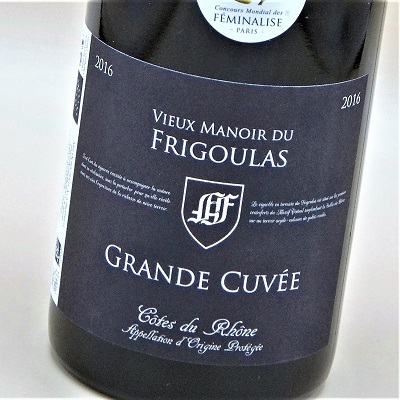 Winery: Domaine Vieux Manoir du Frigoulas. On this estate, they’ve been cultivating vineyards since the 13th century! And in 2014 they made the switch to organic farming, eliminating all chemical fertilizers, pesticides and synthetic products to bring out the best of the lumpy, lime-rich, clayey soil found in the Châteauneuf-du-Pape and Rhone Valley region. A blend of Grenache, Syrah, Mourvèdre and Cinsault grapes, this elegant Côtes-du-Rhône has a lovely bright red colour with an expressive, sweet, fruity (cherry and blackcurrant) bouquet. Harmonious and eloquent in the mouth, it reveals notes of red stone fruits that lead to a cherry finish mingled with hints of spices. Ideal serving temperature is between 16 and 18º C. The perfect way to kick off an evening of gourmet hors d’oeuvres! 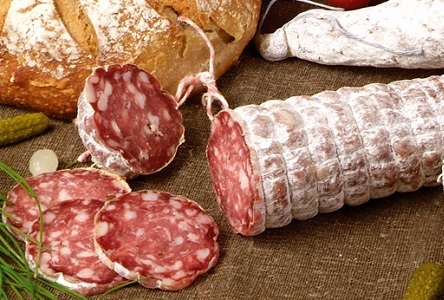 This dry-cured farmhouse sausage is a renowned speciality of Lyon, one of the cradles of French gastronomy. 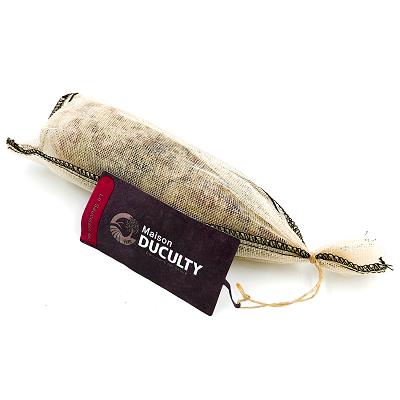 It comes in many different sizes and flavours: our box contains the original saucisson sec, but there are also nut, peppercorn, cheese, smoked and other varieties. We chose this particular sausage because it is made the traditional way from fresh pork with no dyes or preservatives. Important: like all natural sausages, this product has a long shelf life and will not rot unless you keep it for several years. But it is possible and indeed common to find something called “bloom”, a white or occasionally greenish mould that grows naturally on the sausage casing. This mould is penicillium, from which we derive penicillin, and is found in a variety of food products (such as Roquefort and other blue cheeses). It is perfectly healthy and is even a sign of the sausage’s quality as long as it does not develop an unpleasant odour. The casing is 100% natural and perfectly edible, but we recommend that you remove it before eating to appreciate the full flavour and finesse of this artisanal sausage. Store in the canvas bag included in the gift box and keep it on the bottom shelf of your fridge. Serve in thin slices for a deliciously flavourful appetizer. 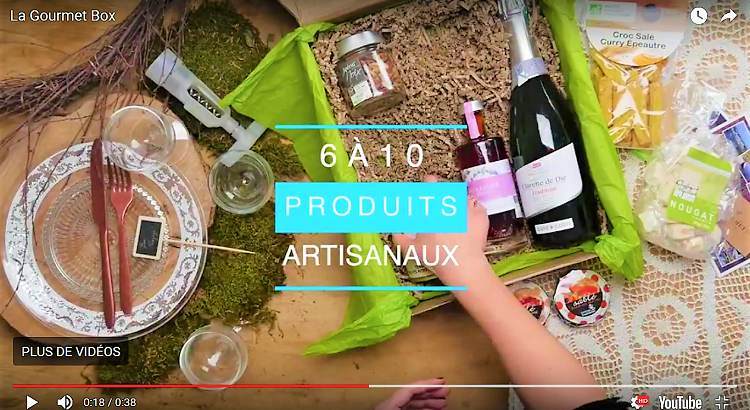 Artisan: Les Oréliades, Catrice Gourmet. Located in Provence, Var, the family business Catrice Gourmet produces Provencal specialties using all-natural products in the purest local culinary tradition. 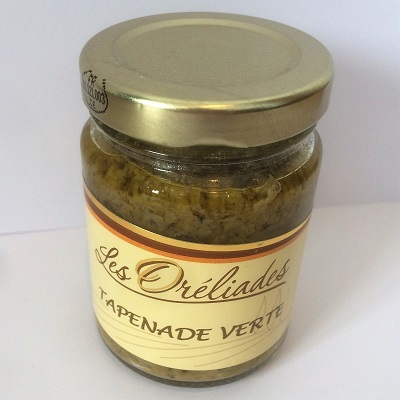 This olive "puree" is made from green olives coarsely ground. Capers and anchovy cream are then added. 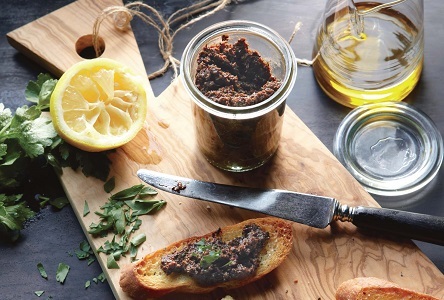 This tapenade is a morsel of Provence that's sure to delight and amaze your guests at any summer hors-d'oeuvres party. 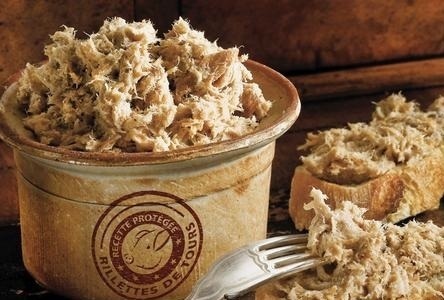 Rillettes, a 100% French delicacy, is a savoury spread similar to pâté but with a coarser, meatier texture topped by a protective film of lard. The all-natural product we chose was made the old-fashioned way: shredded pork (from the best breeding farms) is emulsified in its own juices for hours in a wood-fired oven and seasoned with salt and pepper, pickles and mustard seeds. 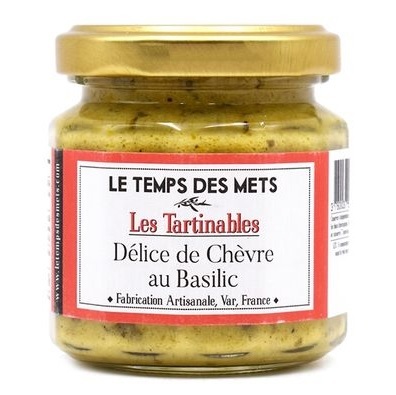 Serve it spread on toast to experience all the rich nuances of its delectable flavour. Producer: Le Temps des Mets. This original goat cheese and basil spread is sure to delight your guests, adding colour and flavour to any gourmet moment. Made using artisan methods by a small local producer in Six Fours les Plages, it contains zucchinis, goat cheese, spices and basil: just a delicious mix when served on toasts. We made our way to a village called Madic, on the border between the départements of Cantal and Corrèze, where we met an artisan who makes delicious traditional biscuits in bronze moulds. Genuine goat cheese and rosemary is added to the biscuit dough for a truly unique flavour. 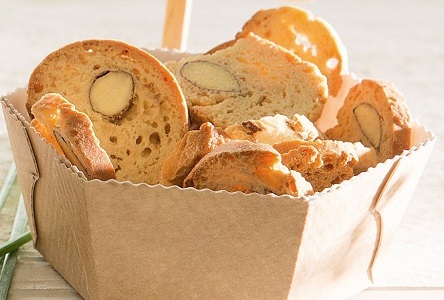 Ideal for nibbling with a glass of wine from your gourmet box—a crisp gourmet treat! 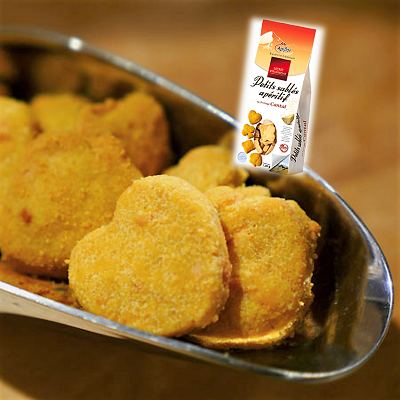 Serving suggestion: to bring out the full flavour of these biscuits, bake them in the oven 2-3 minutes before serving. At La Gourmet Box, we're all about thoughtful details, which is why we've tucked some surprises among these delicious products to make your feast of French delicacies truly memorable. Productos deliciosos, presentación muy cuidada, a este precio lo aconsejo a todos. Seguro de triunfar con esta caja ! Os lo digo porque he convertido esta cesta en mi regalo favorito. De verdad. Un coffret cadeau aussi bien présenté, avec d'excellents produits, la possibilité de mettre un mot pour celui à qui on l'offre et à ce prix, c'est admirable !